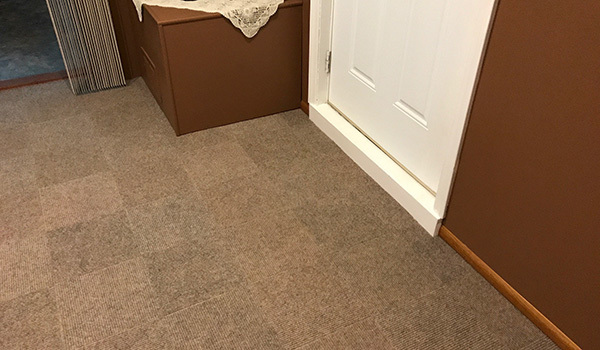 Got the sand color to do a small bathroom, it was easy to install and not to difficult to cut to size. Ordered the smoke color to do a bedroom, laid it out then started to glue it down, was about 1/2 way through b4 I noticed the color was not consistent some squares were very much darker than others-don't know whether it was from different boxes or the colors were inconsistent in the same box. It's not as noticeable in day light but at night under lamp light it is very noticeable. If I had realized I could of laid it in a pattern or put the darker so it would of been under the bed. Would recommend this carpet but suggest you check carefully to be sure the color is consistent. These are great, but, they are discontinued so if you decide on using them, make sure you buy all that you need. Also, now there is only a limited choice of colors. The plastic is sometimes hard to pull off, but, if you put them in the refrigerator for awhile, it comes off easier. I start it in the corner with a craft knife. Awesome rubberflooringinc you guys were prompt in shipping, priced great and match what I had to a T! 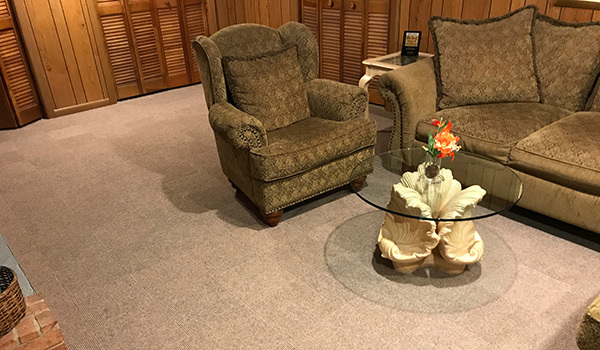 I've loved this Capet for years having dogs and a child it is awesome to be able to replace a few pieces of carpet if neede, and with little puppies or babies that may happen sometimes. 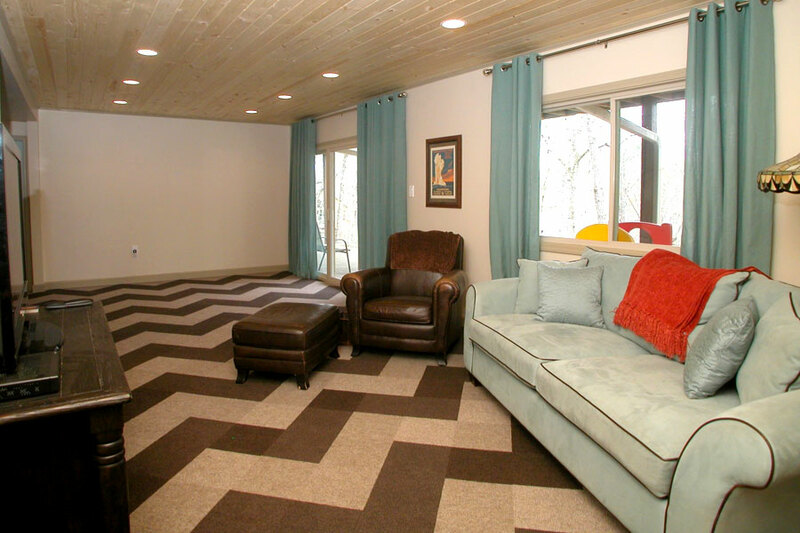 In love the flexibility of making your floor as fun and interesting as you want with patterns or not different colors or not. Only thing I wish is that there where more colors in hand including more "girly" colors I would love that for my kids room. I like these carpet tiles for a small bathroom and I will use them until I can get my whole bathroom updated. They are the right thickness and have a little bit of cushion under your feet. This tile really looks good once laid and the installation is a breeze. It's much rougher than I would have liked, but since it's for a room that experiences dog traffic, it will be just fine. It's not uncomfortable to the bare foot, mind you, but it's not a floor children, for instance, would find comfortable. Still, I really like the look. Ordered these tiles to replace worn out carpet in my extra bedroom. Great product at a great price. I put them down myself- super easy. Room looks a thousand times better! I would definitely recommend these tiles to anyone who asks. Very easy to put down. I have some trouble getting the backing started, but once I get it, it comes off easy. I found that the black seems to be cut a tiny bit shorter. The tiles were easier to put down than I had anticipated. Used in my home office and I put a floor chair protector down underneath my office chair to help with the rolling and potential of damage. 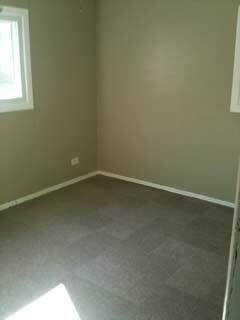 This carpet tile looks lovely in our bedroom. It was easy to apply, (although difficult to cut even with an exact knife. Make sure you have very sharp scissors). We were able to finish in a day. The delivery was prompt and all the tiles were in good shape. We have an old house (160 yrs) and the porch is enclosed with windows on all three sides. Beautiful view but the floor was not in good shape. We put the tiles down in one day and the porch is wonderful. We sit in it every morning and have our coffee. I did black and smoke tiles. Our pattern is 1 smoke, 1 black, 1 smoke, 2 black 1 smoke 1 black, 1 smoke in a straight rows from top to bottom. Received order in timely manner and in excellent condition. 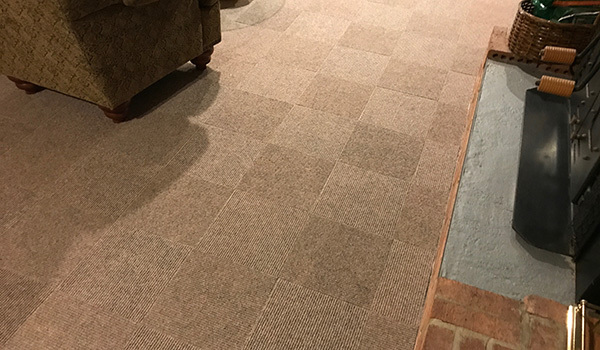 We had installed this carpet tile in another room several months ago. 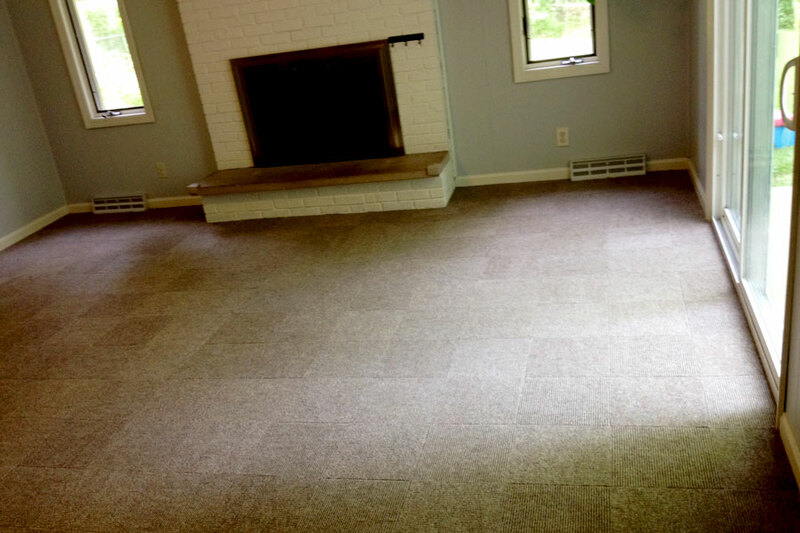 We easily installed the carpet in one room once tiles arrived. We plan to do another room in the fall with this order. 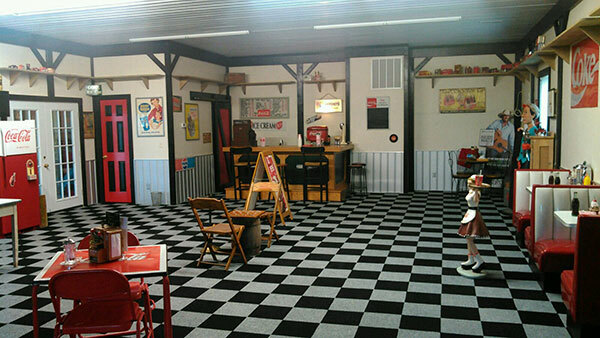 The carpet tiles look very nice in our home. 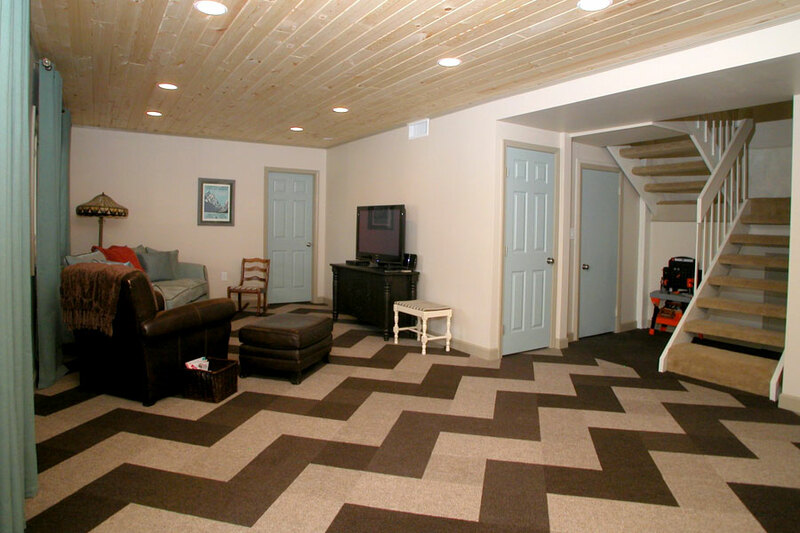 Having the tiles is a convenient way of staging our projects. The tiles have really warmed up our home in the winter. easy to install, looks and feels great. couldn't be more pleased! For the price, the tiles seem to be a good value. Only time will determine if the quality stacks up to the previous reviews.